Presuppositional apologetics may be understood in the light of a distinction common in epistemology, or theory of knowledge. In any factual inquiry, it is important to distinguish between the ideas we have prior to the inquiry and those we gain in the course of the inquiry. No one, of course, embarks on an investigation with an empty mind. If indeed we had done no previous thinking, nothing would motivate us to seek further information. Now, a process of inquiry often corrects ideas we held previously. But it is also true that our previous ideas often serve as assumptions governing the inquiry: defining the field of investigation, determining the methods of study, governing our understanding of what results are possible, thus limiting what conclusions may come from the study. So there is usually a dynamic interaction in any study between assumption and investigation: the investigation corrects and refines our assumptions, but the assumptions limit the investigation. There are some kinds of assumptions we usually consider immune from revision. Among these are the basic laws of logic and mathematics: what factual discovery could possibly persuade us that 2 + 2 is not equal to 4? The same is true of basic ethical principles, especially those governing the inquiry itself: For example, no factual discovery could legitimately persuade a researcher to be less than honest in recording data. What about religious faith, as an assumption governing human thought? Scripture teaches that believers in Christ know God in a supernatural way, with a certainty that transcends that obtainable by investigation. Jesus himself reveals the Father to those he chooses (Matt. 11:25-27). Believers know God’s mysteries by revelation of his Spirit, in words inspired by the Spirit, giving them “the mind of Christ” (1 Cor. 2:9-16, compare 2 Tim. 3:16). So, by believing in Jesus, they know that they have eternal life (1 John 5:7). In many respects, this supernatural knowledge contradicts the claims of people who don’t know the true God. There is an opposition between the wisdom of God and the wisdom of the world (1 Cor. 1:18-2:16, 3:18-23). Wicked people (including all of us, apart from God’s grace) “suppress” the truth of God, exchanging it for a lie (Rom. 1:18, 25). The apostle Paul claims that his supernatural knowledge is powerful to “demolish arguments and every pretension that sets itself up against the knowledge of God” so that he can “take captive every thought to make it obedient to Christ” (2 Cor. 10:5). Spiritual warfare in Scripture, then, is intellectual as well as moral. So when some claim that Christ will not return because “everything goes on as it has since the beginning of creation,” Peter opposes them, not by an empirical inquiry to ascertain the relative uniformity of physical law, but by citing the Word of God, his source of supernatural knowledge (2 Pet. 3:1-13). The supernatural revelation of Scripture, therefore, is among the assumptions, what we may now call the presuppositions, that Christians bring to any intellectual inquiry. May a Christian revise those presuppositions in the course of an inquiry? He may certainly revise his understanding of those presuppositions by inquiring further into God’s revelation in Scripture and nature. But he may not abandon the authority of Scripture itself, as long as he believes that Scripture is God’s Word. God must prove true, though every man a liar (Rom. 3:4). Nor may he abandon the most fundamental truths of Scripture, such as the existence of God, the deity of Christ, and salvation by the shed blood of Jesus, without denying Christ himself. Indeed, Christians believe that the very meaningfulness of rational discourse depends on God, as everything depends on God. Indeed, it is Christ “in whom all things hold together” (Col. 1:17) and “in whom are hid all the treasures of wisdom and knowledge” (Col. 2:3). It is the “fear of the Lord” that is “the beginning of knowledge” (Prov. 1:7) and “the beginning of wisdom” (Psm. 111:10, Prov. 9:10). These facts pose a problem for apologetics. Non-Christians do not share the presuppositions we have discussed. Indeed, they presuppose the contrary, as they suppress the truth. The job of the apologist, trusting in God’s grace, is to persuade the non-Christian that the biblical presuppositions are true. What sort of argument can he use? If his argument presupposes the truths of Scripture, then his conclusions will be the same as his presuppositions. He will argue from Christian presuppositions to Christian conclusions. But since the unbeliever will not grant the Christian presuppositions, he will not find the argument persuasive. But if the apologist presents an argument that does not presuppose the truths of Scripture, how can he be faithful to his Lord? And how can he produce an intelligible argument unless he presupposes those conditions that are necessary for intelligibility? Presuppositional apologists claim that there is no neutrality, invoking Jesus’ saying that “one cannot serve two masters” (Matt. 6:24). There can be no compromise between the wisdom of God and the wisdom of the world. Unbelief leads to distortion of the truth, exchanging the truth for a lie (Rom. 1:25). Only by trusting God’s Word can we come to a saving knowledge of Christ (John 5:24, 8:31, 15:3, Rom. 10:17). And trusting entails presupposing: accepting God’s Word as what it is, the foundation of all human knowledge, the ultimate criterion of truth and error (Deut. 18:18-19, 1 Cor. 14:37, Col. 2:2-4, 2 Tim. 3:16-17, 2 Pet. 1:19-21). So the apologetic argument, like all human inquiries into truth, must presuppose the truths of God’s Word. The presuppositionalist then faces the problem I mentioned earlier. If he proceeds from Christian presuppositions to Christian conclusions, how can his argument be persuasive to a non-Christian? And how can he avoid the charge of vicious circularity? Presuppositionalists have given different answers to this question. Edward J. Carnell, who is sometimes described as a presuppositionalist, affirms the Trinity as the “logical starting point” which “gives being and meaning to the many of the time-space universe” (An Introduction to Christian Apologetics, p. 124). But his apologetic method treats the Trinity, not as an ultimate criterion of truth, but as a hypothesis to be tested by “both logic and experience” (Gordon R. Lewis, Testing Christianity’s Truth-Claims, p. 179). He never indicates in any clear way how logic and experience themselves are related to Christian presuppositions. Clark admits that more than one system of thought could be logically consistent, and that fruitfulness is a relative and debatable question. So Clark’s method is more like an exploration than like a proof. By renouncing proof, he avoids the circularity of having to prove the axiom by means of the axiom. But if Christianity is not provable, how can Paul say in Romans 1:20 that the clarity of God’s self-revelation leaves unbelievers without excuse? Cornelius Van Til accepted the “presuppositionalist” label somewhat reluctantly but admitted straightforwardly that the argument for Christianity is in one sense circular. But Van Til believes that the non-Christian’s argument, too, is circular: “…all reasoning is, in the nature of the case, circular reasoning. The starting-point, the method, and the conclusion are always involved in one another” (Van Til, The Defense of the Faith, p. 101). It is part of the unbeliever’s depravity to suppress the truth about God (Rom. 1:18-32, 2 Cor. 4:4), and that depravity governs their reasoning so that unbelief is their presupposition, which in turn governs their conclusion. But in this strategy, how does the apologist argue that the non-Christian’s “facts” are not facts and his “laws” not laws? Should he argue on presuppositions acceptable to the unbeliever? If so, then on Van Til’s account, he can reach only non-Christian conclusions. 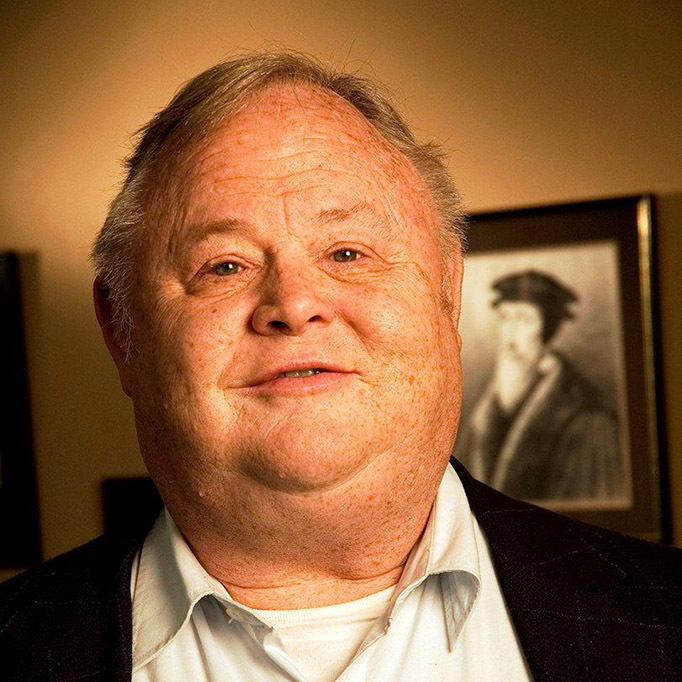 Should he argue on Christian presuppositions? Then the problem of circularity returns. As Van Til says, circular argument of a kind is unavoidable when we argue for an ultimate standard of truth. One who believes that human reason is the ultimate standard can argue that view only by appealing to reason. One who believes that the Bible is the ultimate standard can argue only by appealing to the Bible. Since all positions partake equally of circularity at this level, it cannot be a point of criticism against any of them. Narrowly circular arguments, like “the Bible is God’s Word, because it is God’s Word” can hardly be persuasive. But more broadly circular arguments can be. 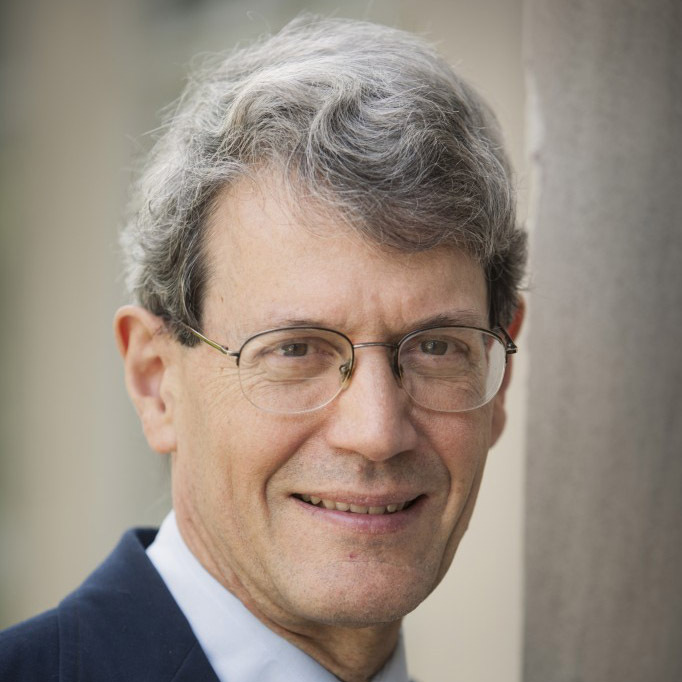 An example of a more broadly circular argument might be “The Bible is God’s Word, because it makes the following claims…, makes the following predictions that have been fulfilled…, presents these credible accounts of miracles…, is supported by these archaeological discoveries…, etc.” Now this argument is as circular as the last if, in the final analysis, the criteria for evaluating its claims, its predictions, its accounts of miracles, and the data of archaeology are criteria based on a biblical worldview and epistemology. But it is a broader argument in the sense that it presents more data to the non-Christian and challenges him to consider it seriously. God created our minds to think within the Christian circle: hearing God’s Word obediently and interpreting our experience by means of that Word. That is the only legitimate way to think, and we cannot abandon it to please the unbeliever. A good psychologist will not abandon reality as he perceives it to communicate with a delusional patient; so must it be with apologists. In the final analysis, saving knowledge of God comes supernaturally. We can be brought from one circle to another only by God’s supernatural grace. Van Til and those who closely follow him hold that apologetic argument must be transcendental. He also calls it “reasoning by presupposition” (Van Til, Defense, p. 99). A transcendental argument tries to show the conditions that make anything what it is, particularly the conditions or presuppositions necessary for rational thought. This understanding of apologetics underscores Van Til’s conviction that the Christian God is not merely another fact to be discovered alongside the ones we already know, but is the fact from whom all other facts derive their meaning and intelligibility. Is it possible for an apologist to refute all the alternatives to Christian theism? Van Til thought that it is possible, for in the final analysis there is only one alternative. Either the biblical God exists or he doesn’t. And if he doesn’t, Van Til claims, there can be no meaning or intelligibility. Is a negative or reductio argument the only way to show that Christian theism alone grounds intelligibility? Van Til thought it was. But (a) if, say, Thomas Aquinas was successful in showing that that the causal order begins in God, then God is the source of everything, including the intelligibility of the universe. Aquinas’s argument, then, though it is positive rather than negative, proves Van Til’s transcendental conclusion. And (b) if, say, physical law is unintelligible apart from the biblical God, why should we not say that physical law implies the existence of God? In that way, any transcendental argument can be formulated as a positive proof. Is the transcendental argument a simplification of apologetics? Presuppositionalists sometimes seem to suggest that with the transcendental argument in our arsenal we need not waste time on theistic proofs, historical evidences, detailed examinations of other views, and the like. But presuppositionalists, like all apologists, have to answer objections. If the apologist claims that physical law is unintelligible without the biblical God, he will have to explain why he thinks that. What other possible explanations are there for the consistency of physical law? What does each of them lack? How does the Christian view supply what is lacking in the other explanations? Thus the presuppositional transcendental argument can become as complicated as more traditional arguments. And the presuppositionalist may often find himself arguing in much the same way traditional apologists have. It takes account of what Scripture says about our obligation to presuppose God’s revelation in all our thinking and about the unbeliever’s suppression of the truth. It understands what according to Scripture must be the goal of apologetics: to convince people that God’s revelation is not only true, but the very criterion of truth, the most fundamental certainty, the basis for all intelligible thought and meaningful living. 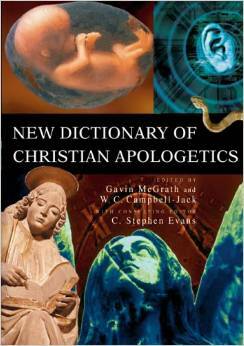 Originally published as “Presuppositional Apologetics,” in Jack, Walter C., Gavin McGrath, and C S. Evans, New Dictionary of Christian Apologetics (Downers Grove, Ill: InterVarsity Press, 2006).